Here’s a tax-wise fringe benefit your company should consider: Help employees get to work by providing tax-free transportation. Not only do workers appreciate this perk, but also your company can save big on payroll taxes. In the past, employers could pay the full cost for qualified transportation fringe benefits and the amount wasn’t included in employees’ taxable income. 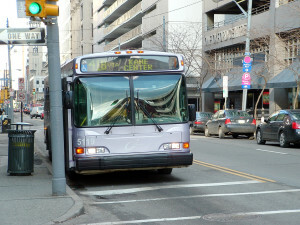 Then a law became effective on January 1, 1998, that allows workers to pay for certain transportation expenses themselves with pretax dollars. Most companies, however, held off setting up programs because they were unsure how they were supposed to work. But new IRS rules clear up much of the uncertainty and make it easier for you to launch a program. Transit passes for the bus, train or ferry worth up to $65 a month. Van pool rides that are worth $65 a month. Qualified parking with a tax-free limit of $175 per month for each participating employee. The combined tax-free limit for the first two items is $65 per month just for transit passes, or $65 per month just for commuter transportation, or a total of $65 for both. THE BOTTOM LINE: Your company can deliver up to $240 a month in tax-free benefits per employee ($175 parking plus $65 in passes or commuter rides). If you exceed the limits, you must treat the excess as taxable wages. Stay within the IRS tax-free limits so your employees won’t owe income tax and your company won’t owe payroll taxes on the extra amounts. ANOTHER BONUS: Qualified transportation fringes aren’t subject to “nondiscrimination” rules. So you can limit them to high paid executives if you wish. Other than the parking benefit, there’s no commuting tax break for employees who simply drive their cars to work. TWO WAYS TO MANAGE TRANSPORTATION BENEFITS: Your company chooses from to different ways to handle transportation expenses. Option 1. As mentioned earlier, it can pay the full amount of these bills directly or reimburse employees in cash for their eligible expenses. In this case, employers get a federal tax deduction and employees receive benefits free of income and payroll taxes, within limits described. Option 2. The second option involves employees paying the expenses themselves out of what would otherwise be taxable salary y. Obviously, this is less expensive for the company and you still get a tax break because you avoid any federal payroll taxes on dollars used to supply the tax-free fringes. In effect, this is a salary reduction arrangement, similar to a cafeteria benefit plan or flexible spending account program. If an employee chooses cash instead of a salary reduction, that choice results in more federal income and payroll taxes withheld. In contrast, employees who choose qualified transportation fringes effectively get to pay for all or part of their commuting and parking expenses with pre-tax dollars. NEW IRS RULES: Before 1998, offering your employees a choice between cash and qualified transportation fringes triggered income and payroll taxes on all benefits employees received. Under the IRS regulations, employees must substantiate their expenses and the employer must receive a written election to participate. Employees aren’t allowed to get any unused amounts refunded to them, but they can carry over the unused amount to future months or years. ADVISORY: sole proprietors, LLC members, partners and S corporation shareholders who own more than 2 percent of the stock don’t count as employees under the qualified transportation fringe benefit rules. These individuals are taxed on company provided transportation fringes and the employer owes payroll taxes. Also, independent contractors cannot receive these tax-free benefits.